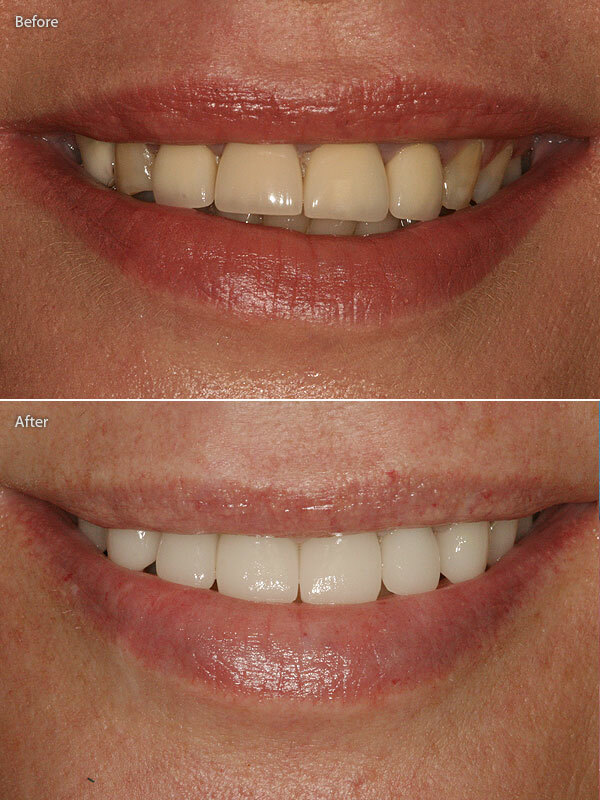 Dr. Lemmen has advanced training in both the surgical and restorative aspect of implant dentistry. Having a dentist with combined knowledge in both areas offers patients an advantage for correct planning and placement of implants and successful functional and aesthetic reconstruction. People lose teeth all the time, either through trauma when teeth are knocked out (athletes such as rugby players & boxers commonly experience this), or due to decay, gum disease or old age. 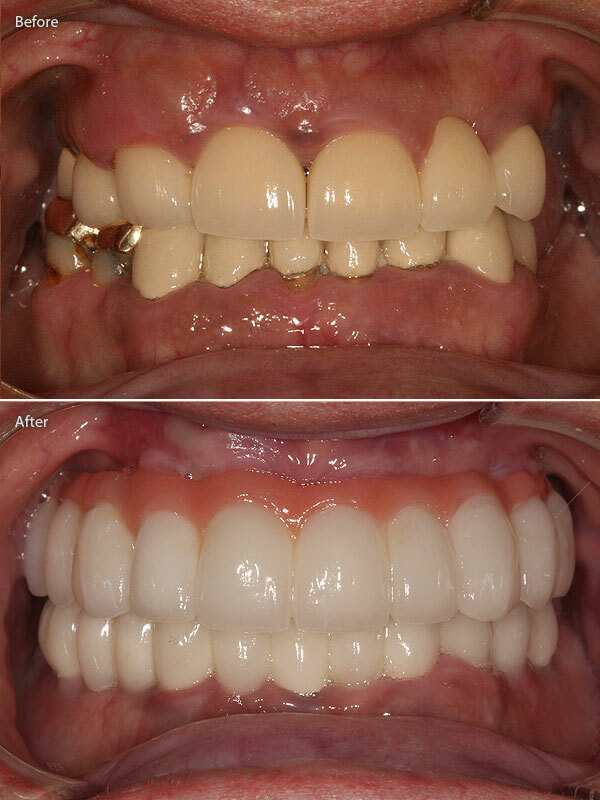 Whatever the reason for loosing your teeth, they need to be replaced both for aesthetic and functional reasons. 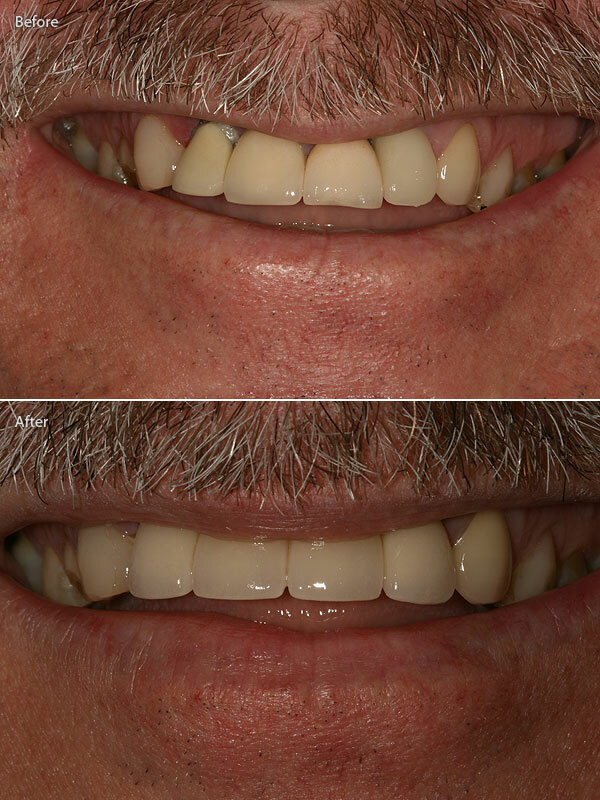 The most common treatments for missing teeth are either a denture or a fixed bridge. However, dental implants are now becoming a more popular treatment to replace missing teeth as they provide a longer-term solution, slow down bone loss and preserve nearby healthy tooth tissue. 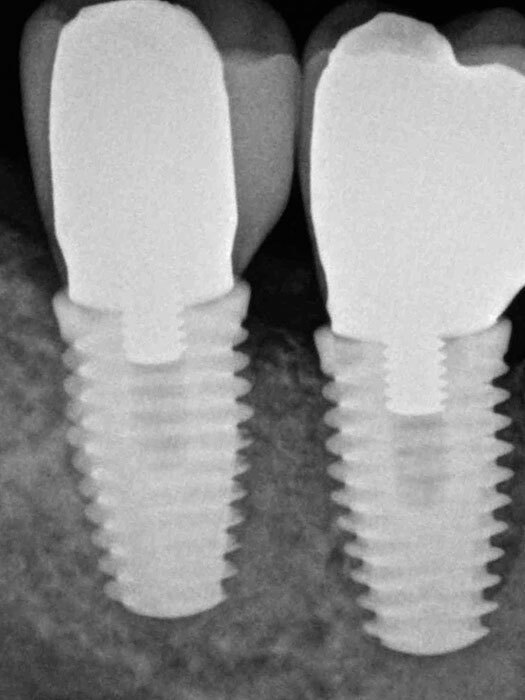 A dental implant is a titanium "screw" designed to artificially substitute / replace the root portion of an absent natural tooth. It is anchored into a pre-drilled socket in your jaw-bone to support a crown, a bridge or secure a denture firmly in place. Implants are made from titanium, a material that is well tolerated by bone and integrates easily with bone tissue. During the placement of a dental implant, the goal is to achieve a close contact between the outer surface of the implant and the surrounding bone tissue so they can "fuse" together (osseointegration) creating a stable support for the new teeth. 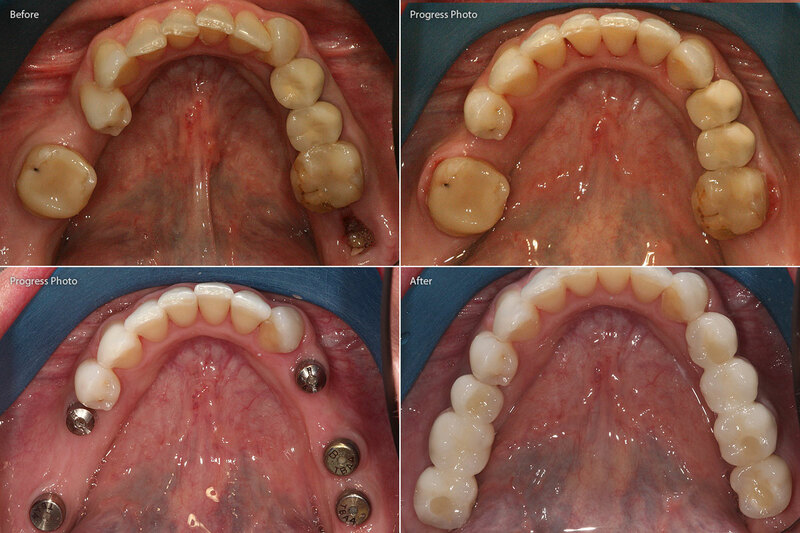 Implant treatment is prostetically driven. 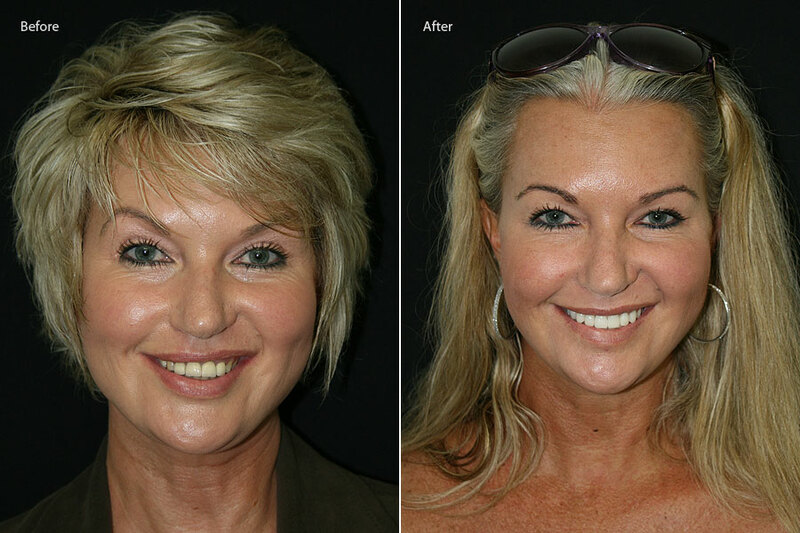 This means that the desired position of the final crown or bridge must be planned before implants are placed. 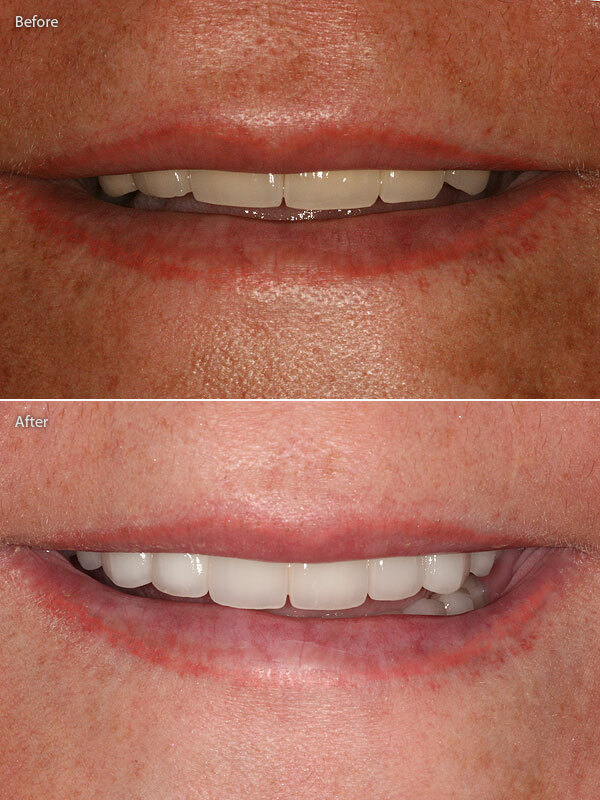 This will ensure that implants are placed in the correct position and height to ensure the best aesthetic and functional outcome, especially in the front of the mouth where aesthetics play a crucial role. Before any implants are placed, it is important for your dentist to assess the health of your teeth and gums. If there are any signs of gum disease or decay, these must be treated first. After this your treatment will be planned following several x-rays, photographs and study models and in some cases a CT scan, to assess the bone quality and volume and check for nearby anatomical structures to avoid, before any drilling. The procedure is usually carried out under local anaesthesia but sometimes general anaesthetic is needed, depending on severity of surgical procedures. The gum where the implant is to be placed is cut and lifted and a small hole is drilled in the jawbone at the precise location of the intended implant. 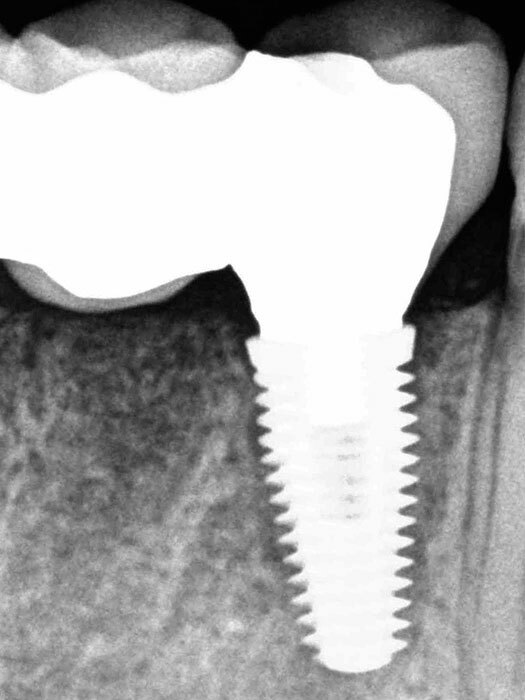 The titanium implant is tightly fitted into this socket and the gum is stitched back over the implant. If there is insufficient bone material to accommodate the implant a bone graft may be required or alternatively the dentist may use smaller sized mini implants if suitable. 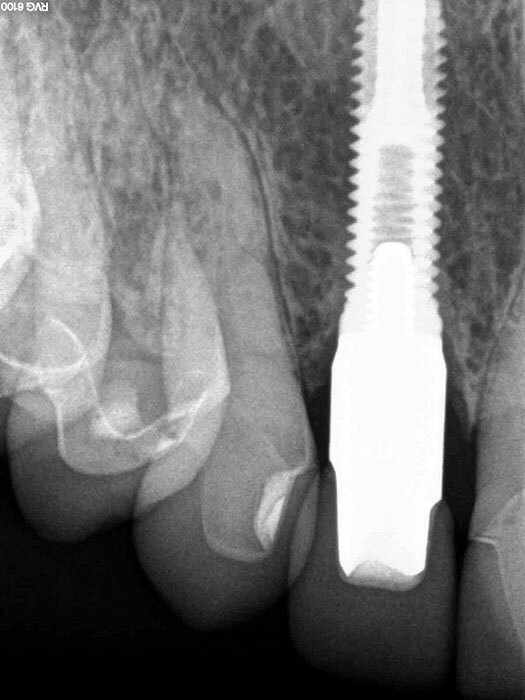 Once the implant has been placed it is left to heal and integrate with the jawbone for between 6 weeks to 6 months. 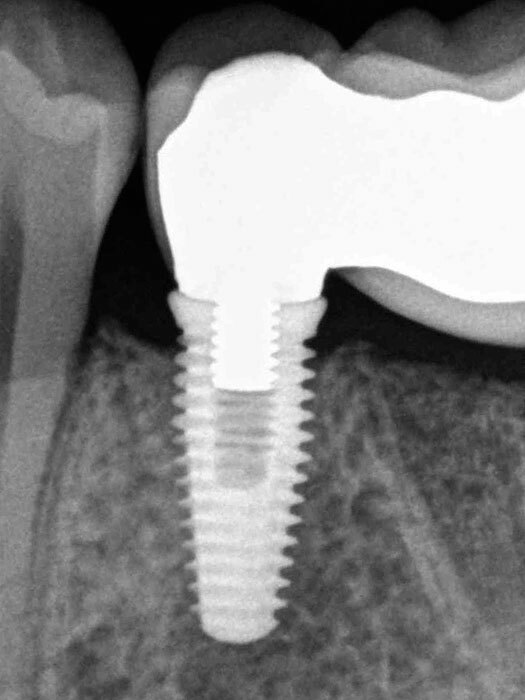 The bone tissue will grow and anchor itself into the microscopic rough surface of the implant. 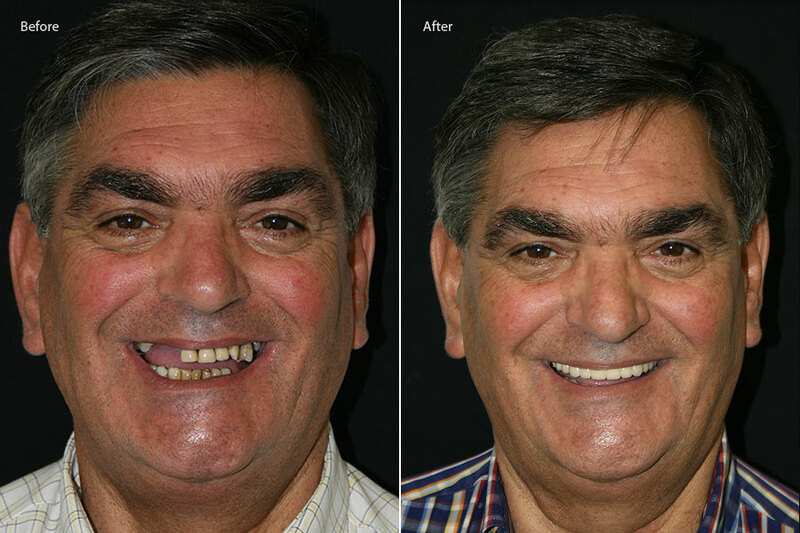 During this "healing period" patients are given temporary teeth (bridges) or continue to wear dentures. 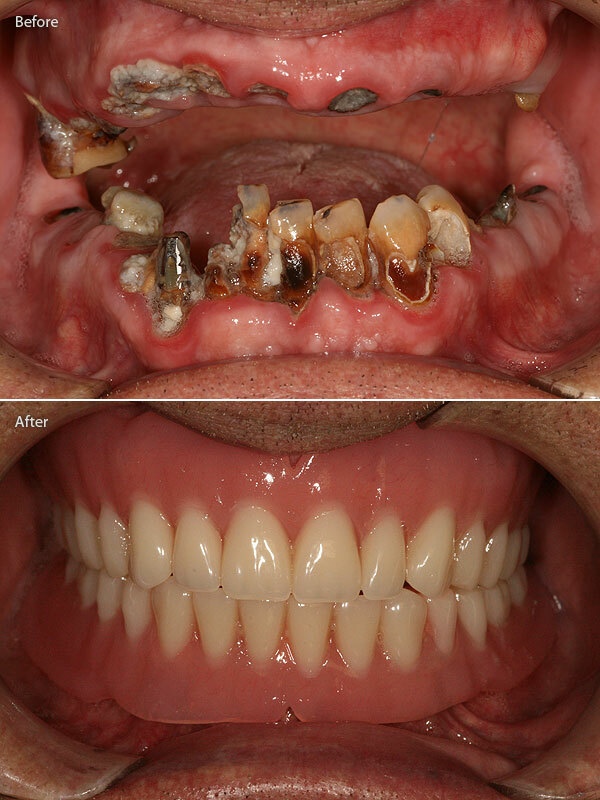 It is important that any temporary teeth do not exert any forces on the healing implant. After the healing period the gum is lifted again and a post is attached to the implant with a temporary crown or healing abutment. 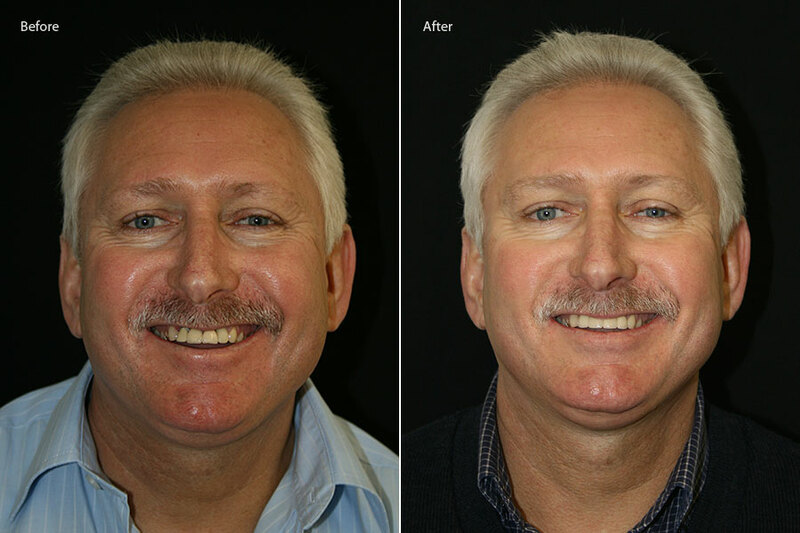 Four to six weeks later, when the surrounding gum tissue has matured the final permanent restoration can be fitted to the implant. 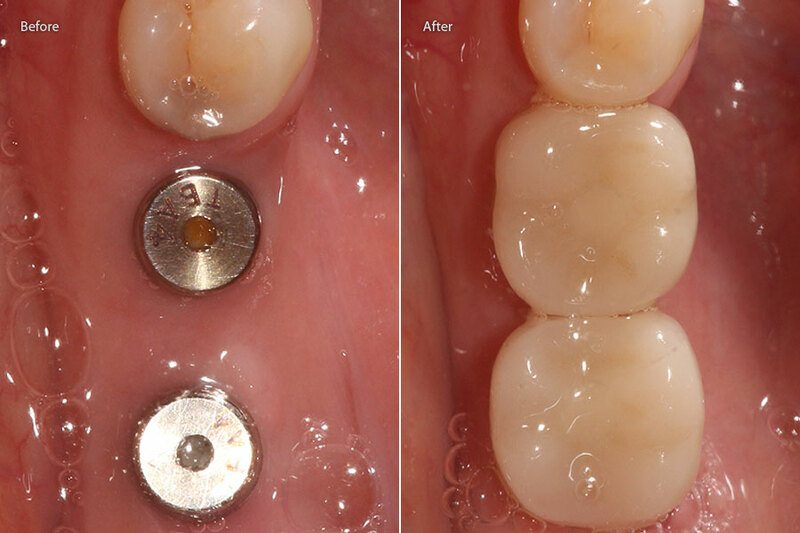 Traditionally an implant placed into your bone supports a single crown. 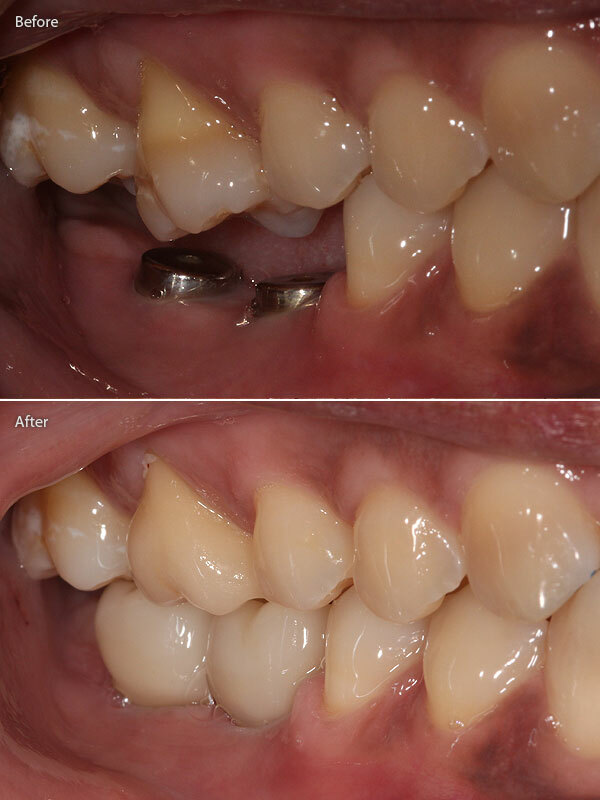 This is known as a "single tooth implant". 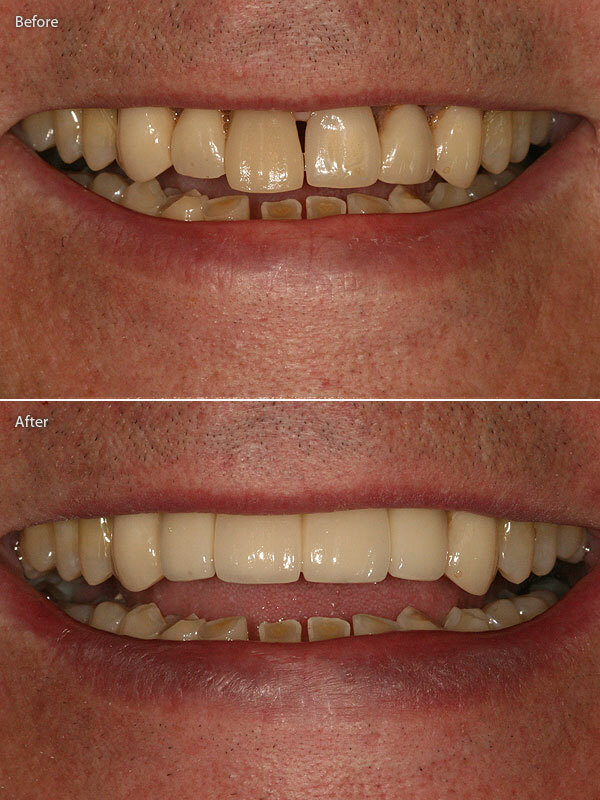 However, if you have several missing teeth you do not necessarily need an implant for every missing tooth. 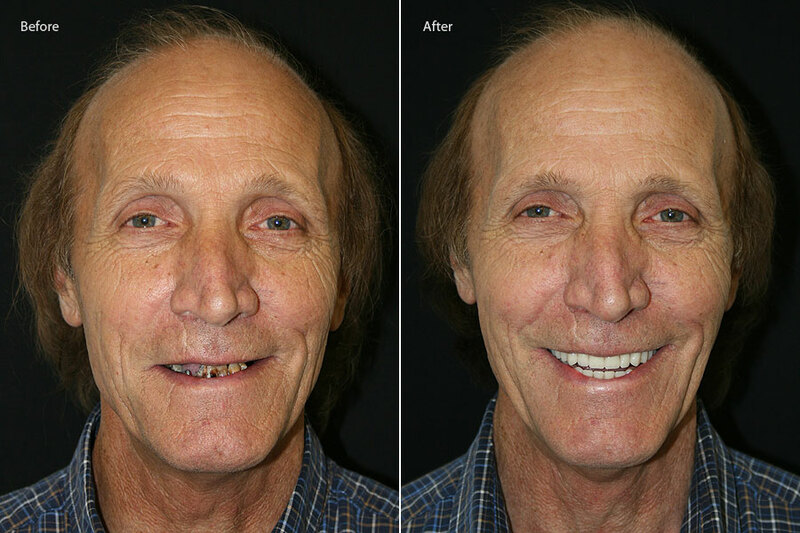 One implant can support several teeth via a bridge or a denture. 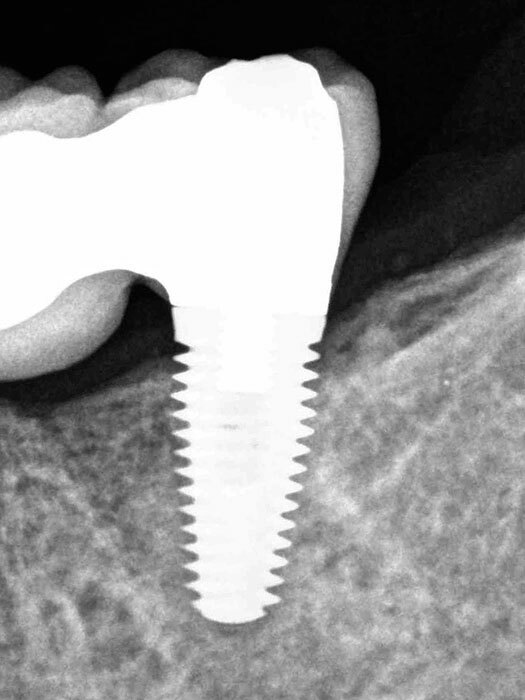 The number of implants required depends on the volume and density of bone tissue available at each implant site. 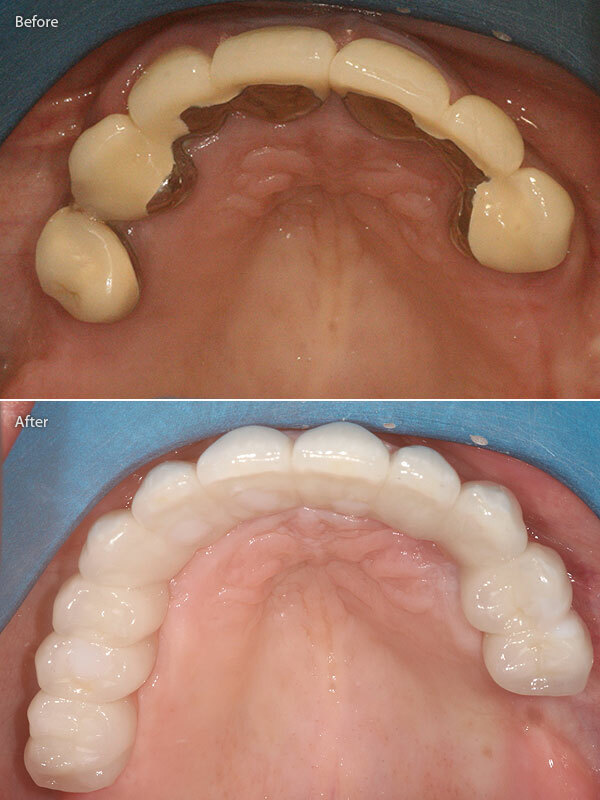 In the case of full mouth reconstructions, where an arch of several teeth (10+) needs to be supported in either the upper or lower jaw, a minimum of 6 implants in each jaw would be required. The exact number of implants needed would depend on the individual case. Your implant surgeon would be able to advise you on the best solution after a thorough examination and assessment. Periodontal gum disease - all active gum disease must be treated prior to any implant procedure to ensure long term success of any treatment. 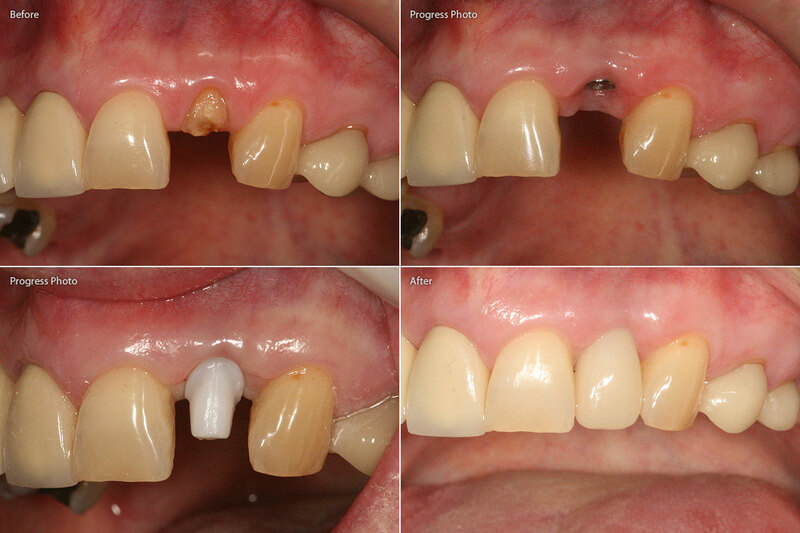 Periodontal disease is a major cause of bone loss, which would hinder the success of any implant procedure. Teeth grinders (bruxism) - a night time splint can be given to treat this. Using a combination of dental X-rays and sometimes a CT scan or cone beam technology, your bone density and volume can be assessed, as well as information about nearby anatomical structures to avoid. 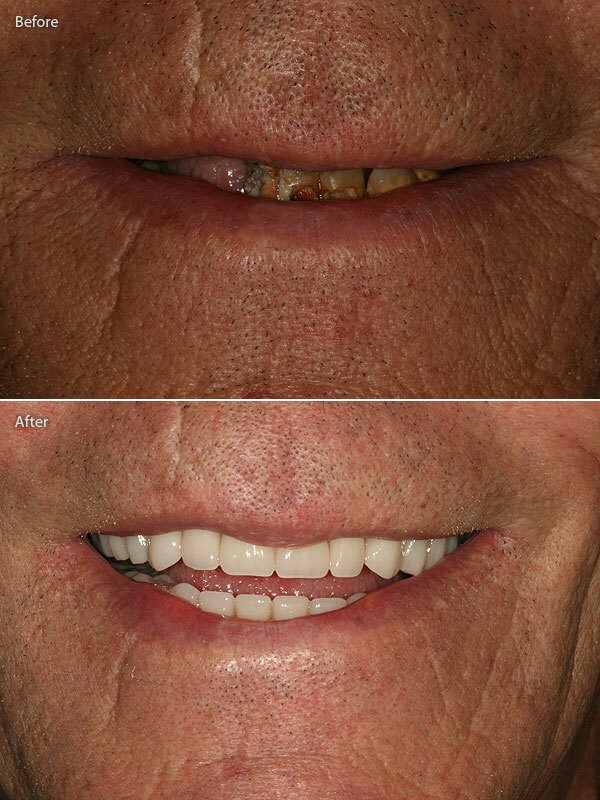 If you need to replace missing teeth at the back of the upper jaw, a sinus augmentation, whereby new bone in the sinus is created, can increase the height of the bone available for the placement of implants in this area. This is where a piece of bone from somewhere else is taken and it is secured over an area that is deficient in bone. Over time the newly placed bone will fuse with the underlying bone creating a better environment for an implant to be placed. Where can bone be taken from for the graft? The best source of bone for your graft is your own bone tissue from elsewhere in your body. 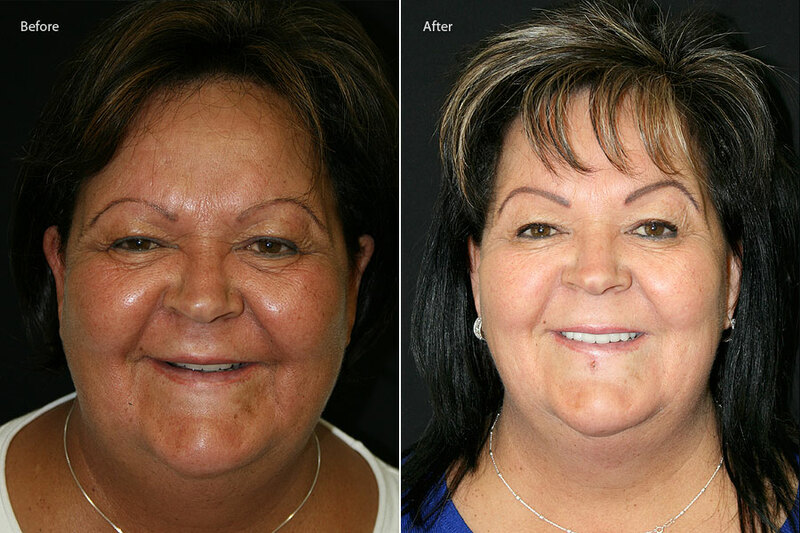 Areas that can be used for bone grafts include the chin, back of the lower jaw, the hip and tibia. Bone taken from your own body offers the most viable and faster healing time when compared to alternatives. In many cases a combination of artificial bone substitutes and your natural bone is used. In any bone grafting procedure the grafted bone provides an anchor and stimulus for the existing bone to grow onto, eventually providing an environment suitable for the placement of implants. 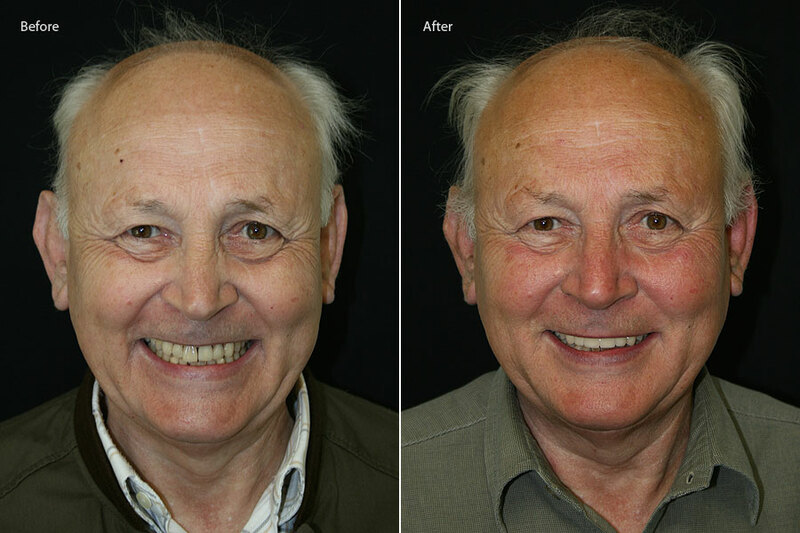 Dental implants have been used for over 30 years to replace missing teeth and they can last a lifetime depending upon how you look after them. Like any other restoration, your implant-supported teeth can still be damaged by trauma and affected by gum disease and poor oral hygiene. The price of dental implants tends to vary considerably and depends on several factors including the level of skill of the surgeon, the type / quality / brand of implant used, the clinic where the treatment is carried out, the level of aftercare service provided and obviously the amount of work required (i.e. 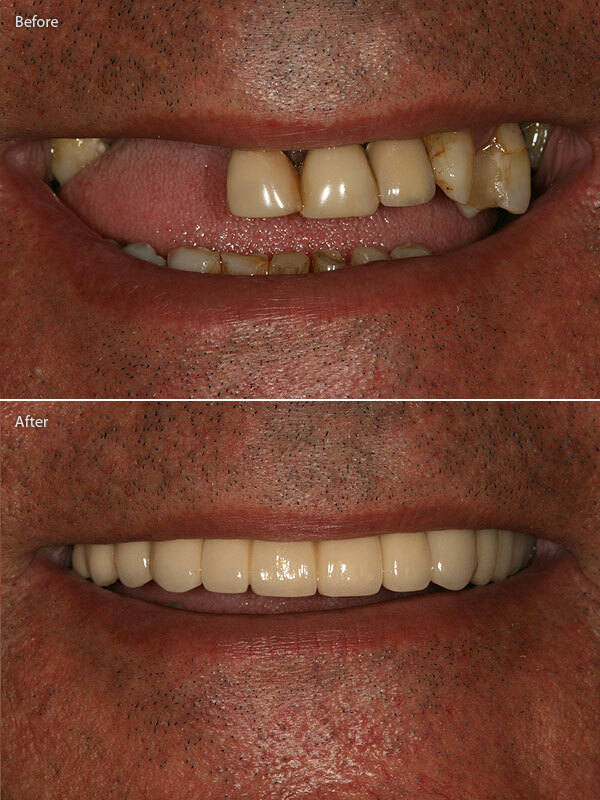 bone grafting) and number of implants required.